The first volume of Veridical Dreams is now available from Beat To A Pulp. 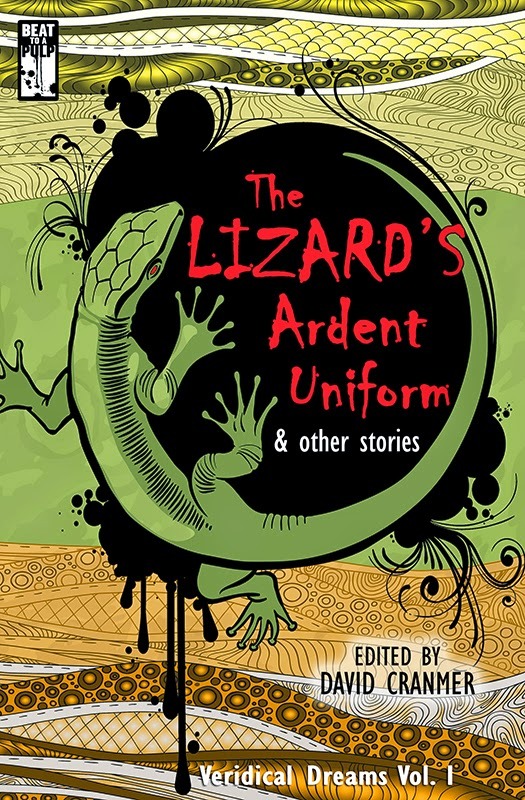 Using fragments from poet Kyle J. Knapp’s dream journals as their inspiration, The Lizard’s Ardent Uniform features brand-new fiction from Chris F. Holm, Terrie Farley Moran, Patti Abbott, Evan V. Corder, Steve Weddle, Hilary Davidson, and Garnett Elliott. I’ve been reading this on my lunch break, and it’s pretty damn good. Variety is always the appeal of an anthology, but’s also usually its drawback too. So far, however, every story has been top shelf. I hope you’ll take a moment and check it out. For the story behind the anthology, go here. For the ebook version, go here. For a print version, go here.